Give the pudding a good stir in the morning. 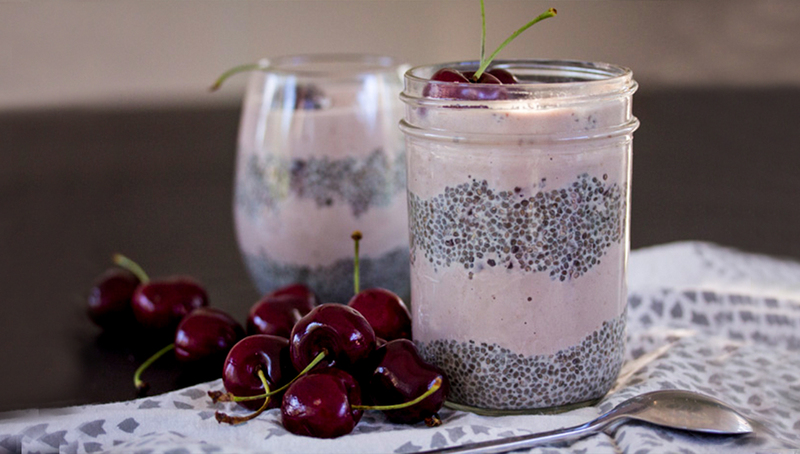 If you’d like different colors of pudding, add some of the cherry juice to half of the chia pudding. Layer in jars or glass dishes, alternating with the compote and pudding. Top with a bit of compote and toasted coconut flakes, if desired. Serve and enjoy!